Newest Hugo Ranger GT234 Cool Box Mod, which with die-casting zinc alloy frame and many ventilation holes. 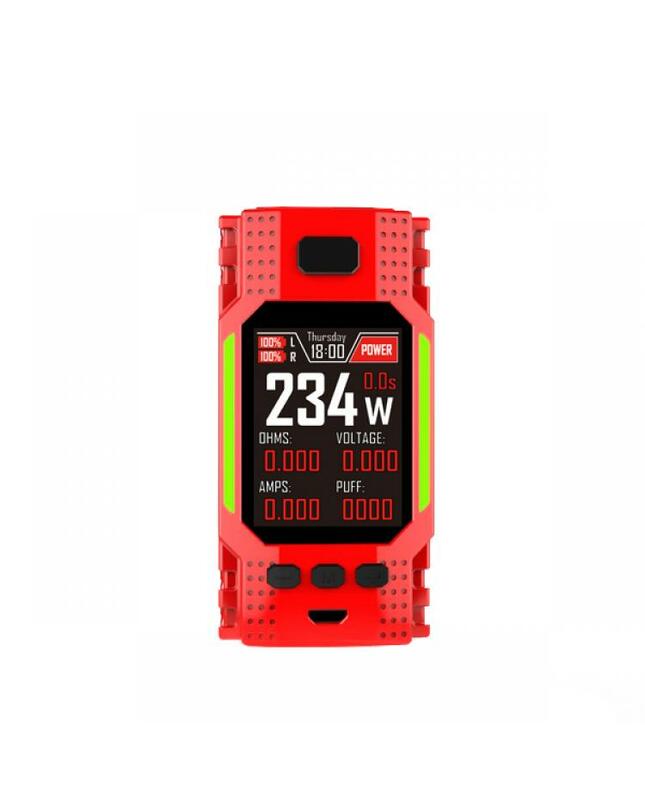 fashionable black and red colors available, built-in powerful GT234 M4 MCU chipset, powered by dual 18650 batteries and max output 234watts, supports NI, TI and SS heating elements under temperature control mode, and TCR, LED and clock functions supported. 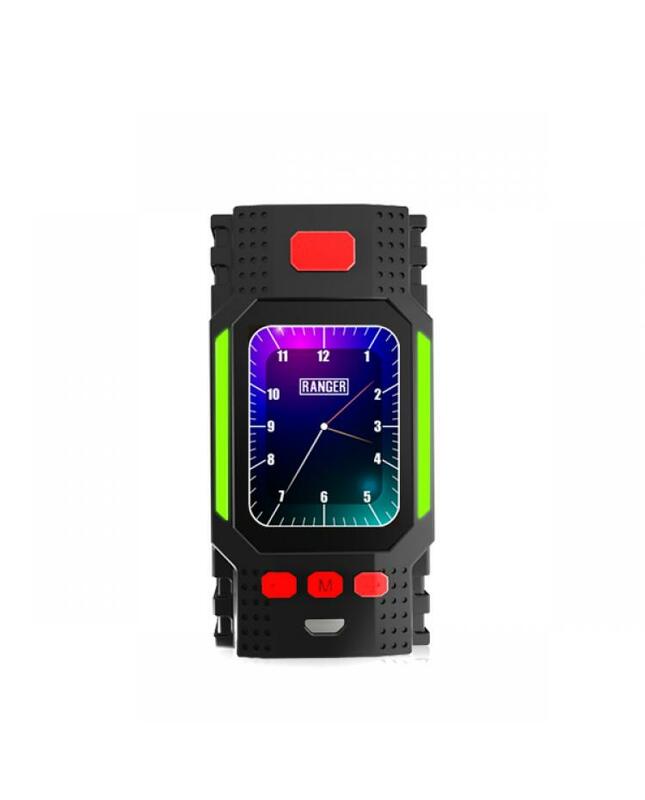 the newest Hugo temp control mod with one large 2.0inch TFT colorful display an ultra-simple user interface, the unique customer user interface will show the vaping data more clearly and simple to operate. 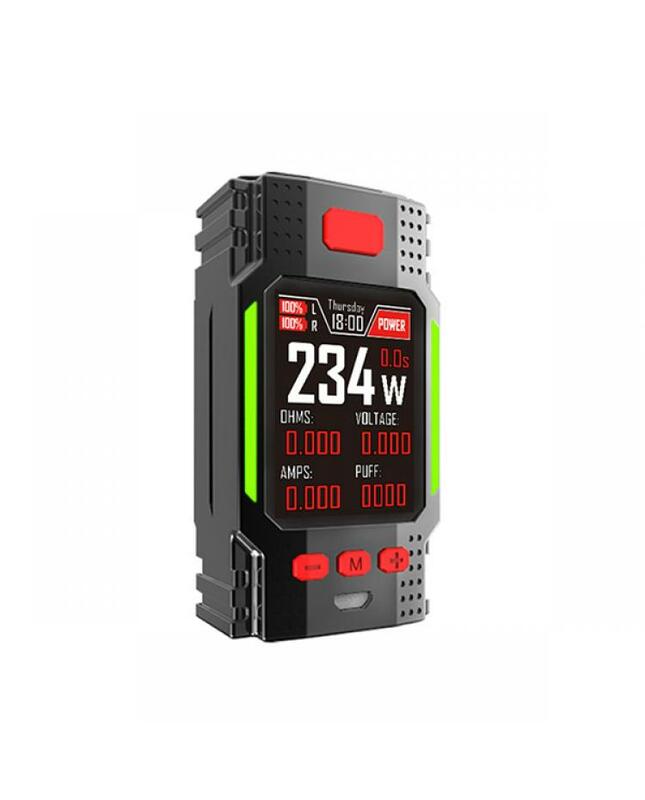 both sides of the ranger GT234 with adjustable RGB LED light, vapers can set the LED light your preference easily. the large 510 spring connector allow it no overhang with 26mm large vape tanks. you can charge the batteries via the micro USB port to connect to a wall adapter or power banks. the firmware upgradeable. recommend works with freemax mesh pro, coilart mage subtank, TFV12 prince etc.